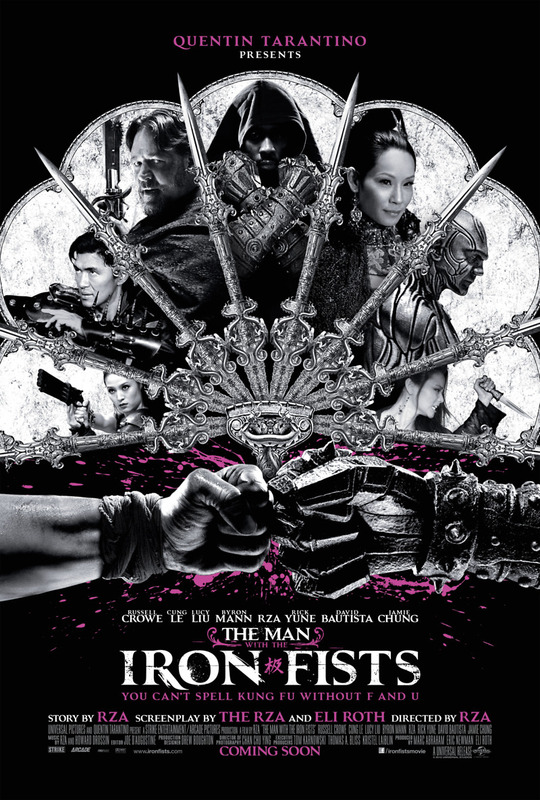 The Man with the Iron Fists DVD and Blu-ray release date was set for February 12, 2013. A shipment of gold ignites a war between rival clans as it travels through the a 19th century Chinese village. The village leader, Gold Lion, is betrayed and killed by his two underlings, Silver Lion and Bronze Lion, while trying to protect the gold for the territorial governor. Gold Lion's son, Zen-Yi, seeks the help of the village blacksmith, who has the ability to create special weapons. The gang that killed Gold Lion capture the gold and cut off the arms of the blacksmith. With the help of Zen-Yi, he forges new, powerful arms and the pair join an epic battle to regain the gold and seek revenge against Silver Lion, Bronze Lion and their henchmen.